You live, work, worship or attend school in Freeborn or Mower County. You are a spouse, mother, father, sister, brother, son, daughter, or grandparent of a current member. You previously had an account with UECU. We honor "once a member always a member". You work at one of our employee groups. Freeborn Co-op Oil Patrons, Woodvale V & VII, Streater Office Employees, Bridon Cordage, Burger King, Kerry Ingredients, Alpha School, Waste Management, Thornecrest Retirement Center, Crossroads Trailer Sales, Albert Lea Electroplating, St. John's Lutheran Home, Four Seasons Specialty Coffees, Vasco Inc., Schweigert Foods, Crest Group Home, Non-licensed Employees of School District #241, The Children's Center, Ring Can Corp., Interstate Motor Trucks, Hayward Cooperative, Alden Cooperative Elevator, Safe Air Repair. 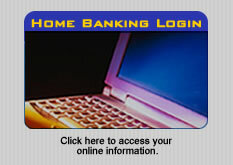 Pay a $1.00 membership fee and deposit $25.00 into your share account. If you have any questions call 507-377-1616 or Toll Free 877-647-8666 or stop in at our office at 430 Bridge Ave., Albert Lea, MN.